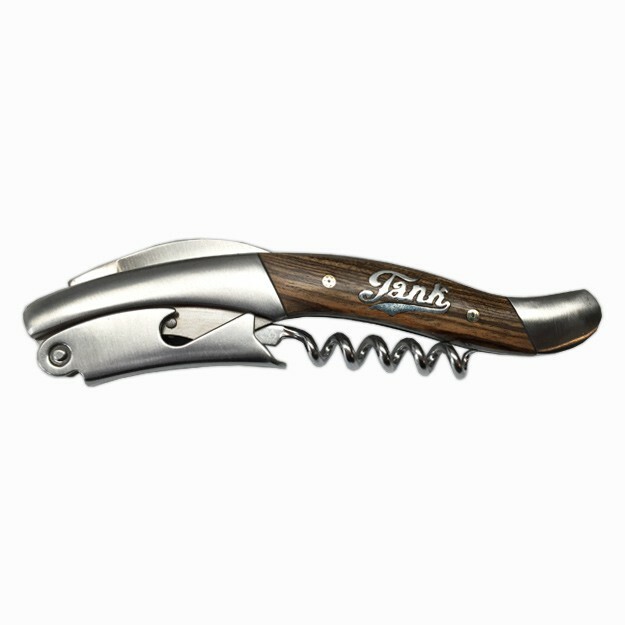 We gotta say, this is a gorgeous corkscrew. Fashioned with a thick zebra handle and heavy lever. The foil-removing knife is huge and curved (it makes us feel a bit like pirates) and makes for the cleanest foil-cut. The ribbed, very thick coil, almost seamlessly turns into the cork, and the way the lever fits over the bottle easily rachets the cork out. Who says you can't have style and substance?